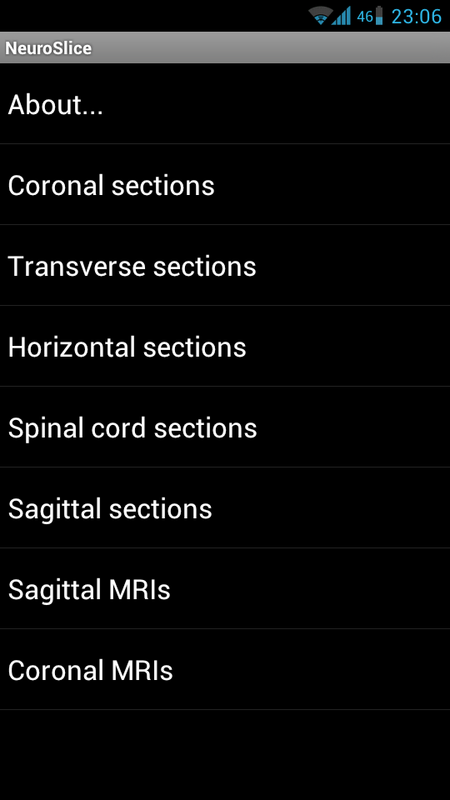 To determine the usability and functionality of the neurological app NeuroSlice. The human nervous system is a complex, sophisticated system. 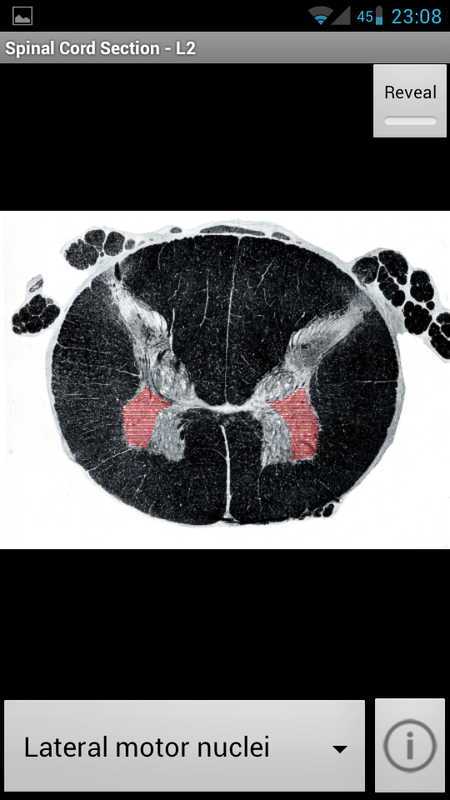 To really understand and diagnose pathology like strokes, neurodegenerative diseases, and so on requires a detailed knowledge of anatomy. 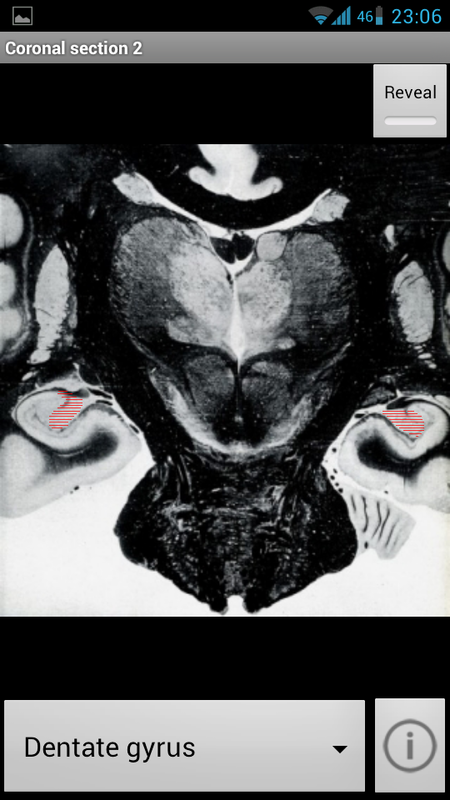 In addition, imaging studies can provide insight as to the integrity of brain structures and it’s important to be able to understand what you’re looking at. Google’s Play Store has plenty of imaging apps but it can be hard to figure out which one is the right one for you. 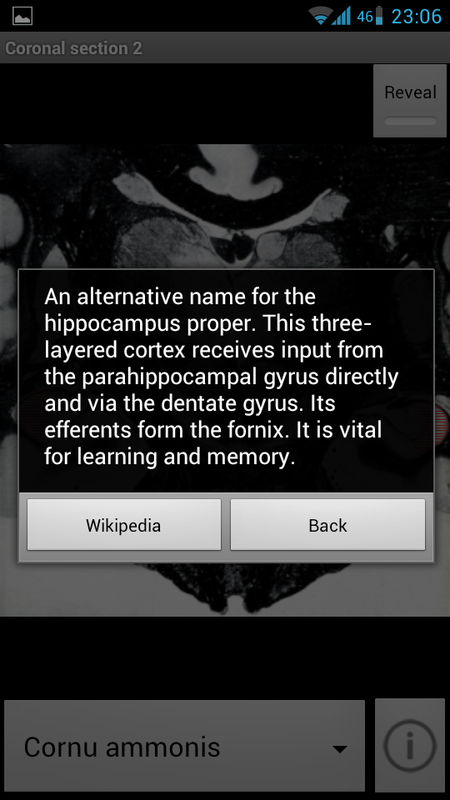 Today we will take a look at NeuroSlice, an app developed by Dr. Sanjay Manohar. In general, the user interface is clunky and could be improved. Launching the app introduces us to a main screen that works as a guide to the different sections. Each slice has neuroanatomical regions mapped out as interactive mapped images. Nuclei, tracts of the brain and the spinal cord can be highlighted. 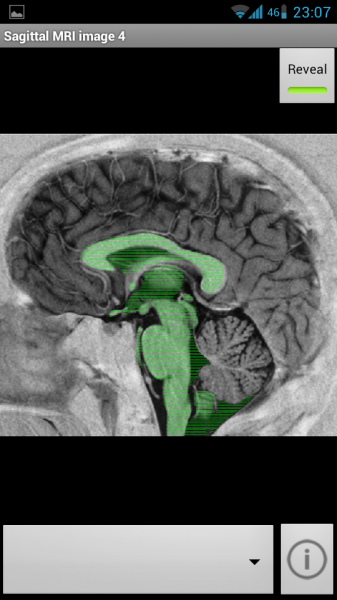 NeuroSlice comprises 40 images taken from MRI scans and stained brain sections, digitally labeled with their anatomical regions. They are all included in the 6MB of the app so no internet connection is required. Regions have a short description, explaining the significance of the region and link out to Wikipedia. The quality of the images is not great and some are quite pixelated. The images can be used in a quiz-like mode where you can either touch the region whose name is shown, or select the name of the region which is highlighted. The user experience is not the best. 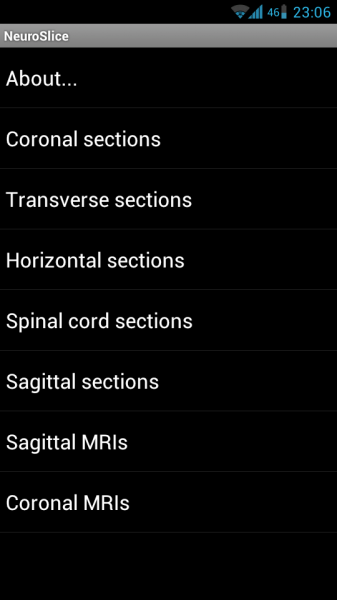 It’s a nice enough app but it lacks several features that would make it of value to medical students. Referencing Wikipedia as a source of information is not very reliable and the images are low quality. Should the developer release a newer version to address these issues things might change.